At the first hint of warmer weather, outdoor grills are fired up all around the country. In fact, many of my friends in New England have been known to start their grills with snow still covering the ground. I love the relaxed atmosphere around the grill. Everyone gathers together, chatting and enjoying cold beverages while the master of the grill prepares the meal. Living in a downtown apartment with no outdoor space, my grilling is now confined to a cast iron grill pan, a George Foreman grill, or a grill at the park. I'm thrilled anytime someone invites me over for a cookout! 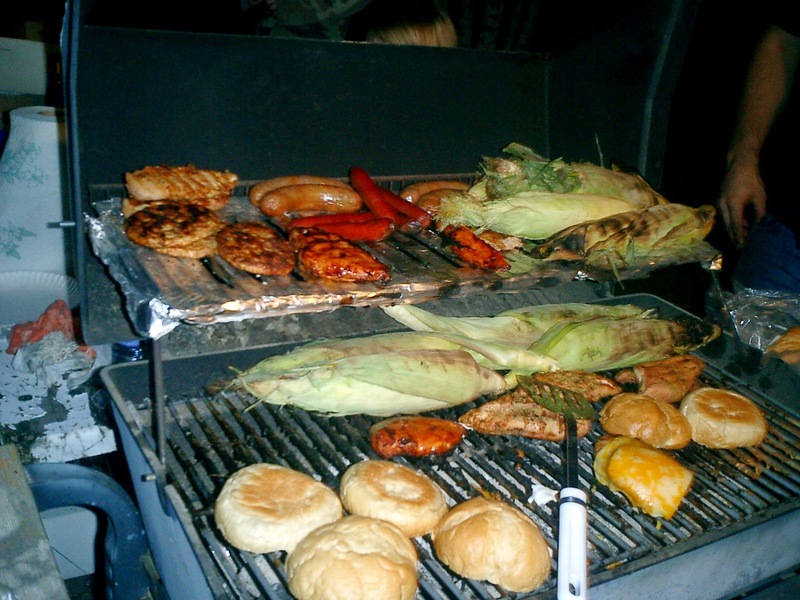 Unlike barbecue, which is done at a low temperature for a long time, grilling is hot and fast. Plus, according to every expert I've interviewed through the years, true grilling is done with the lid open! Once you close the lid, the food goes from grilling to baking. Do not have your grill heated to one single temperature. Ideally you will have a hot side and a cooler side. For a charcoal grill, this means banking the majority of the coals to one side. Learn to check the grill’s temperature with the hand method. Hold your hand over the fire and count (one Mississippi, two Mississippi, etc.) Two to three seconds is a hot, high fire; four to five is medium-high; six to eight is medium; 9 to 10 is medium-low; and eleven to fourteen is low. Before using, get the grate hot, brush it clean with a wire grill brush, and lubricate the grate with oil (a paper towel wad and tongs do the trick) just before you add the food. Do not use water to tame flare-ups. 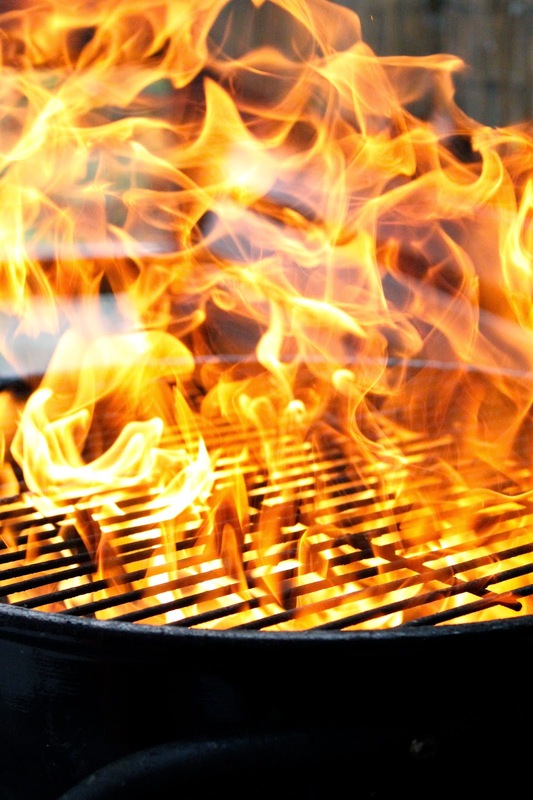 Just move the food to a different area on the grill until the flames subside. 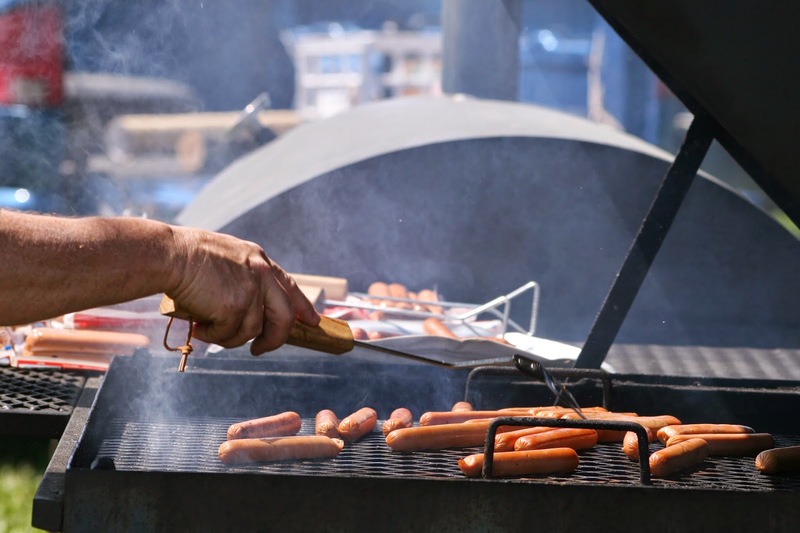 Do not put too much food on the grill at once. There should be room to maneuver, whether it is to avoid a flame-up or to slow down the cooking if the temperature is too high in one area. Put barbecue sauce on at the end to prevent burning. Be sure to have the tools you need—long, spring-loaded tongs and a long-handled spatula. The tools should not be too heavy and fit well in your hand. An instant read thermometer and a timer are also useful tools. Over-turning can be a problem, especially with something as delicate as fish. Figure out the approximate cooking time and then turn the food halfway through. 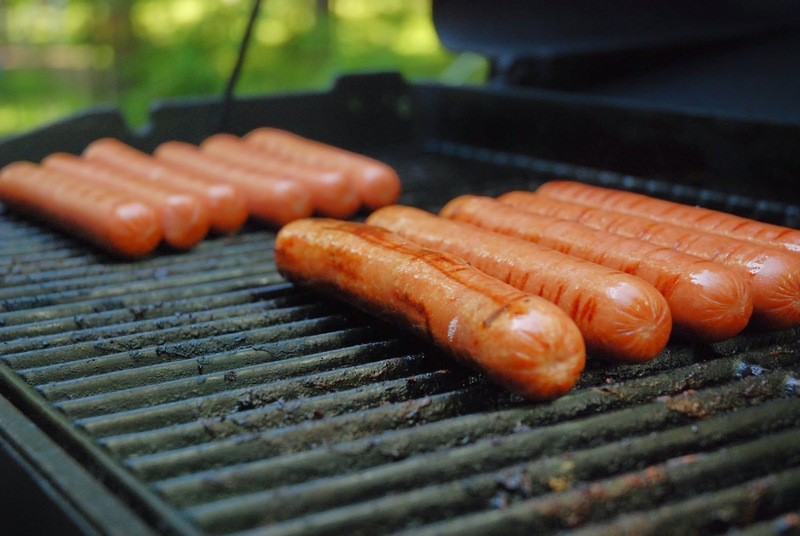 When you remove meat from the grill, the internal temperature will continue to rise as it rests. By the time you eat, the meat could be overcooked. Try removing the meat while it is just under the desired temperature by five to ten degrees. hi Linda it is nice to be introduced to your blog! I did not know you were a published freelance writer, and about one of my favorite topics - cooking! I have not grilled much so these tips very helpful! Thanks. Allison, I'm glad you found the blog. Welcome! I am so glad you posted this, I'm not one of the fortunate who has grill-savvy husband - we're both lost when it comes to grilling! Hi, Linda! Those tips will really come in handy to those who love to grill. Grilled foods are really sumptuous, and they are healthy too. It is also a great bonding activity with our family and friends. Thank you so much for sharing those grilling tips. All the best to you!